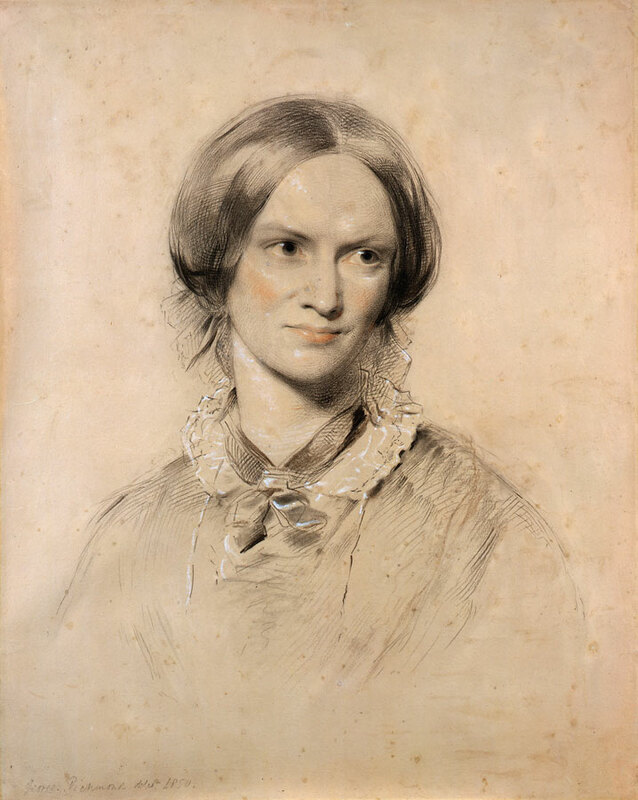 From the time Charlotte Brontë’s novel Jane Eyre was first published in 1847, readers have been drawn to the orphan protagonist who declared herself “a free human being with an independent will.” Like her famous fictional creation, Brontë herself took bold steps throughout her life to pursue personal and professional fulfillment. Charlotte Brontë: An Independent Will traces the writer’s life from imaginative teenager to reluctant governess to published poet and masterful novelist. This exhibition celebrates the two-hundredth anniversary of Brontë’s birth in 1816, and marks an historic collaboration between the Morgan, which holds one of the world’s most important collections of Brontë manuscripts and letters, and the Brontë Parsonage Museum, in Haworth, England, which has loaned a variety of key items including the author’s earliest surviving miniature manuscript, her portable writing desk and paintbox, and a blue floral dress she wore in the 1850s. 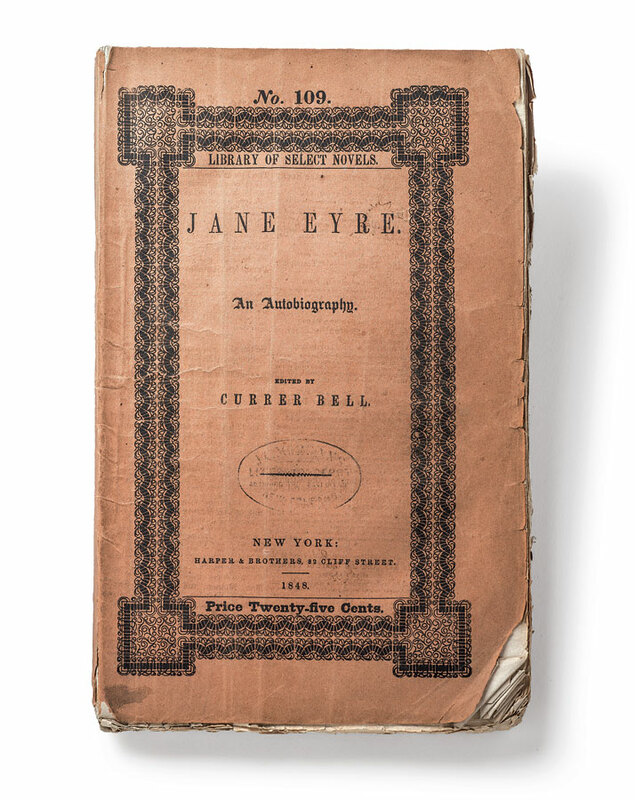 The centerpiece of the exhibition is a portion of the original manuscript of Jane Eyre, on loan from the British Library and being shown in the U.S. for the first time, open to the page on which Jane asserts her "independent will." Also shown for the first time in America will be the only two life portraits of Brontë, on loan from London’s National Portrait Gallery. 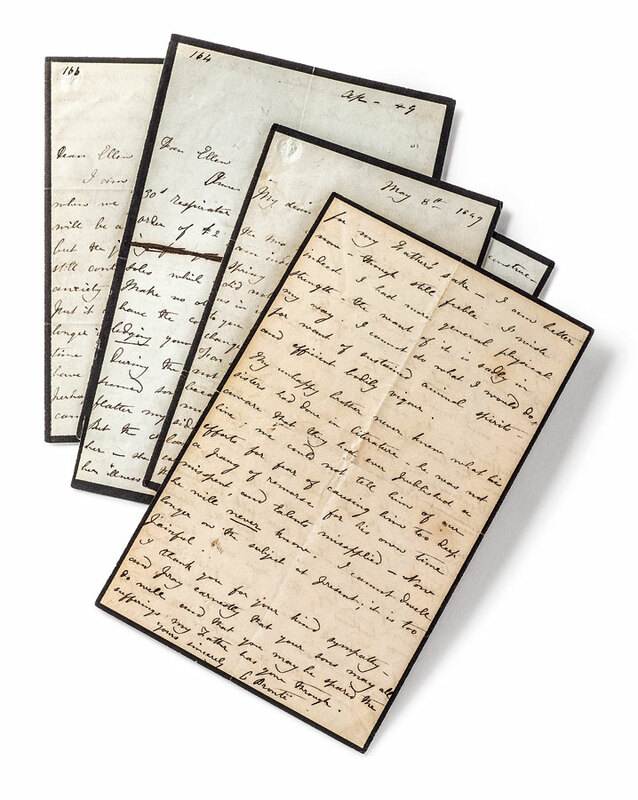 Read Brontë's personal letters in Charlotte Brontë: Ten Letters and a Fictional Fantasy. Charlotte Brontë: An Independent Will is made possible by Fay and Geoffrey Elliott. The catalogue is underwritten by the Andrew W. Mellon Fund for Research and Publications. George Richmond (1809–1896), Charlotte Brontë, 1850, Chalk. © National Portrait Gallery, London. George Richmond (1809–1896), Charlotte Brontë, chalk, 1850. © National Portrait Gallery, London. 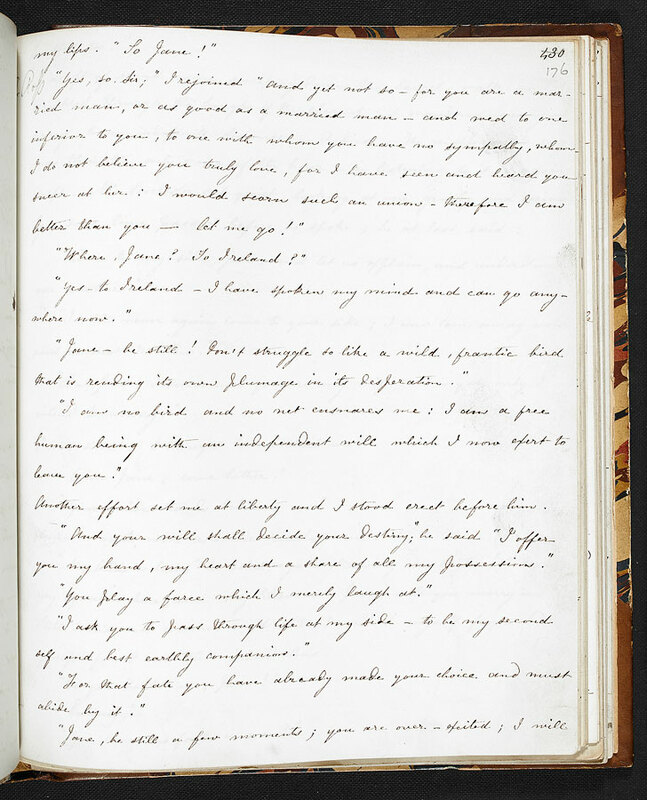 Charlotte Brontë (1816–1855), Jane Eyre, An Autobiography, manuscript, 1847. © The British Library Board, Add. MS 43475, f.176. Two-piece printed delaine dress (of cotton and wool), ca. 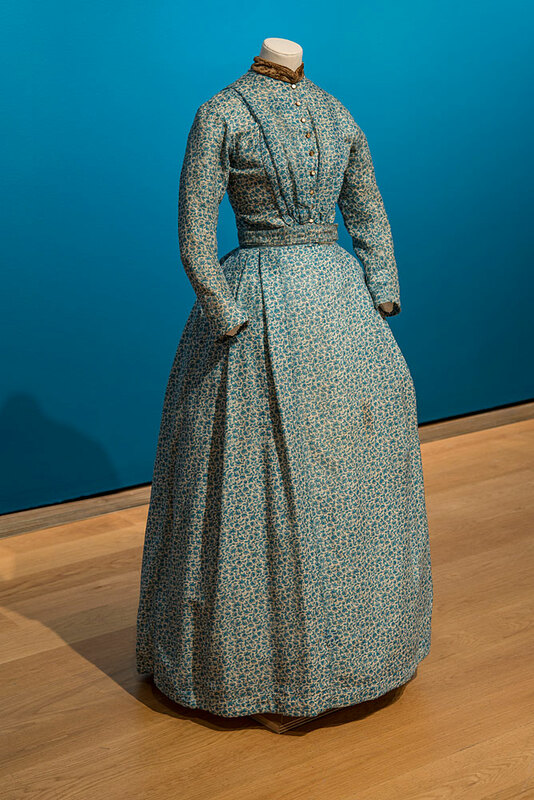 1850, worn by Charlotte Brontë. Brontë Parsonage Museum. Photography by Graham Haber. 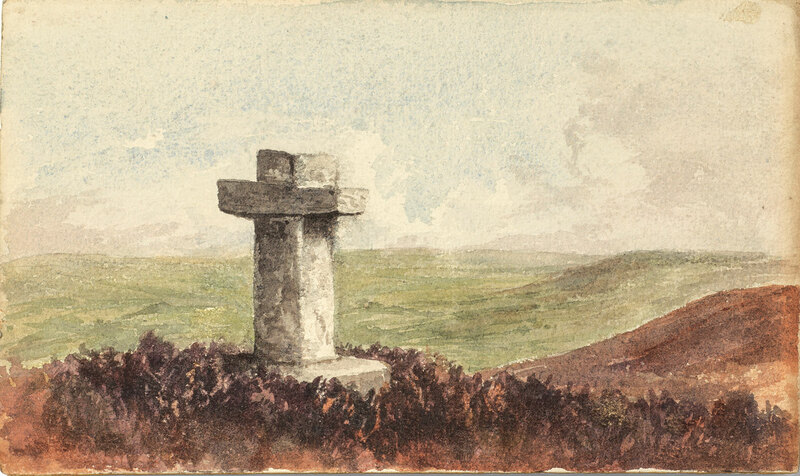 Stone Cross on the Yorkshire Moors, watercolor drawing, undated, found inside Charlotte Brontë’s school atlas and possibly her own work. The Morgan Library & Museum. Photography by Graham S. Haber. 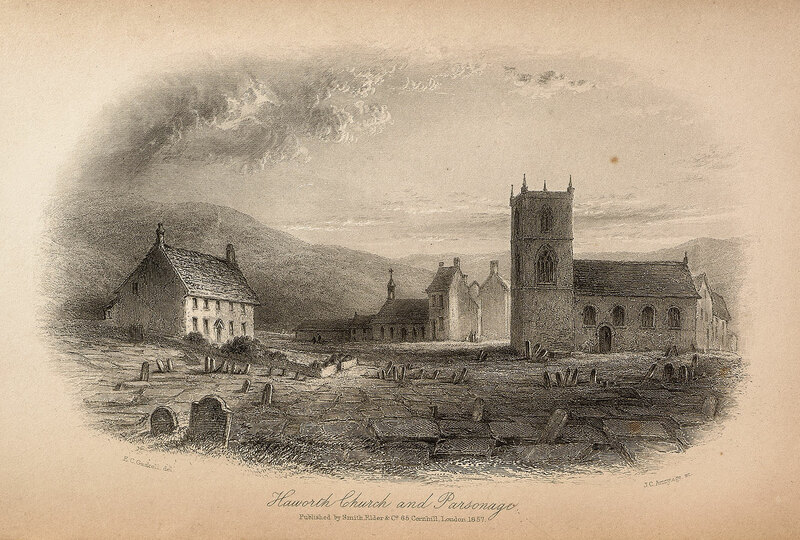 Elizabeth Gaskell (1810–1865), Engraved view of Haworth parsonage and churchyard, Frontispiece to The Life of Charlotte Brontë, vol. 2, London: Smith, Elder & Co., 1857, Gift of the publisher, on Gaskell’s behalf, to Laetitia Wheelwright, a classmate and friend of Charlotte Brontë. The Morgan Library & Museum. Photography by Graham S. Haber. Charlotte Brontë (1816-1855). 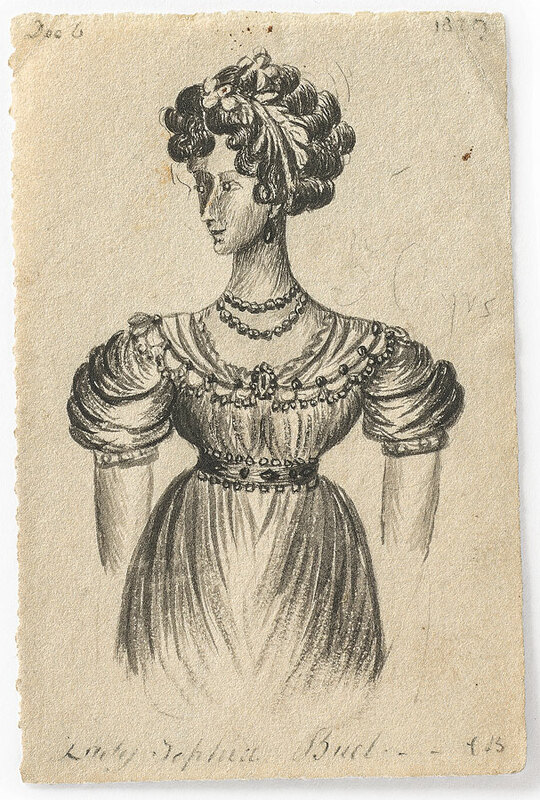 Pencil sketch, possibly a self-portrait, on a blank page in her school atlas (J. C. Russell’s General Atlas of Modern Geography, London: Baldwin & Cradock, ca. 1830s). The Morgan Library & Museum. Photography by Graham S. Haber. 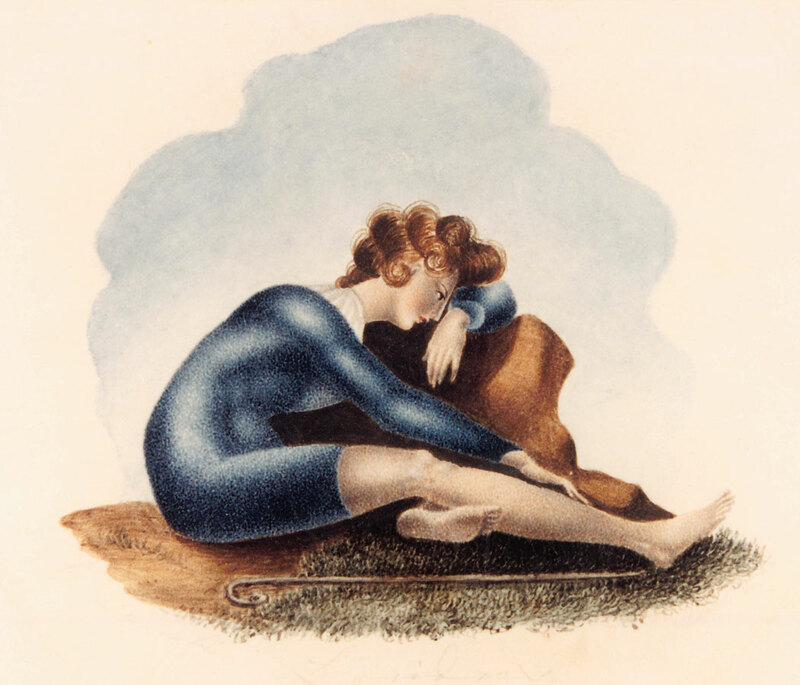 Charlotte Brontë (1816–1855), Lycidas, watercolor drawing, March 4, 1835, copied from a print after painting by Henry Fuseli. Brontë Parsonage Museum. 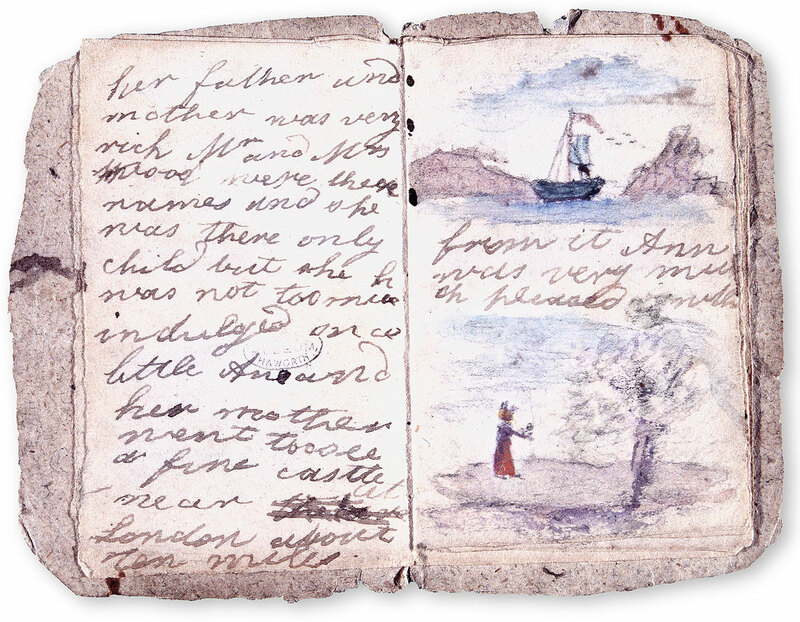 Charlotte Brontë (1816–1855), Story beginning “There once was a little girl and her name was Ane [sic],” Brontë’s earliest surviving miniature manuscript book with watercolor drawings, ca. 1828. Brontë Parsonage Museum. 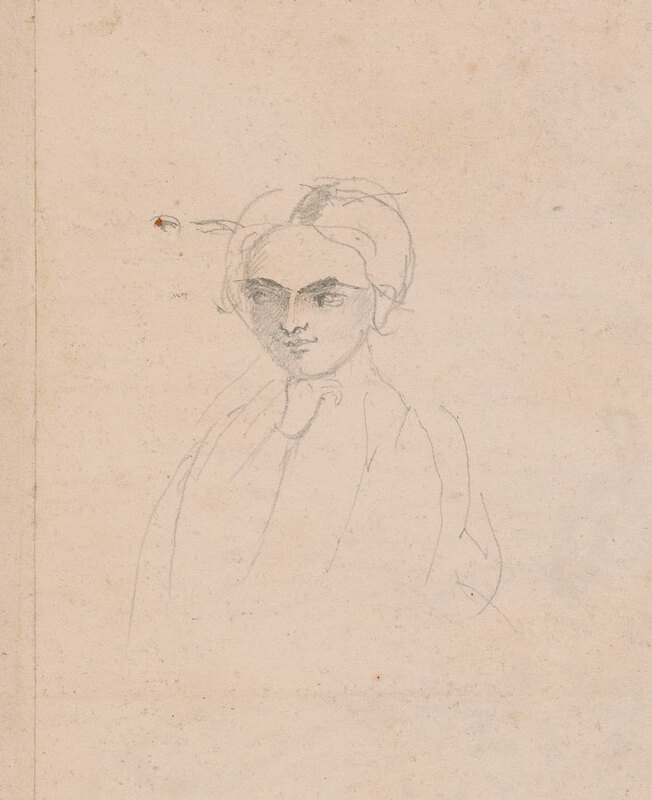 Charlotte Brontë (1816–1855), Lady Jephia Bud, December 6, 1829, Wash over pencil drawing. The Morgan Library & Museum. Photography by Graham S. Haber. 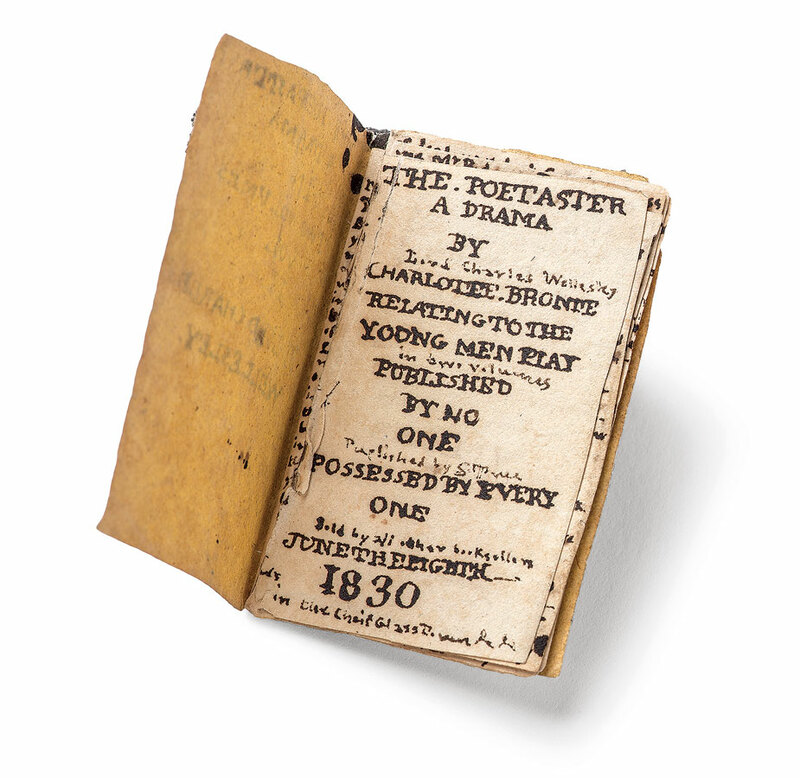 Charlotte Brontë (1816–1855), The Poetaster: A Drama by Lord Charles Wellesley, part II, Miniature manuscript booklet in a minuscule hand, June 8–July 12, 1830. The Morgan Library & Museum. Photography by Graham S. Haber. 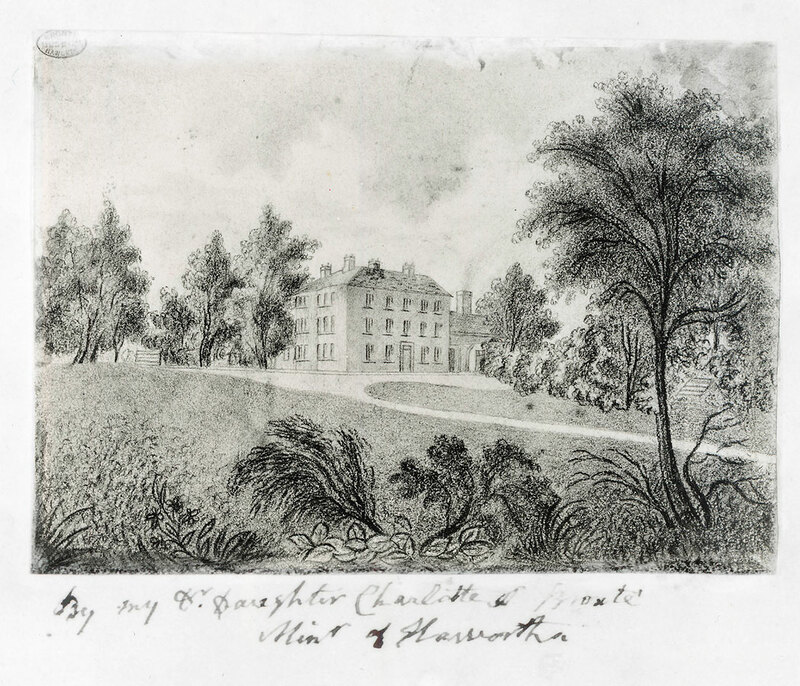 Charlotte Brontë (1816–1855), The Roe Head School, conté crayon drawing, ca. 1831–32, inscribed by Patrick Brontë By my D[ea]r Daughter Charlotte / P Bronté Min[iste]r of Haworth. Brontë Parsonage Museum. 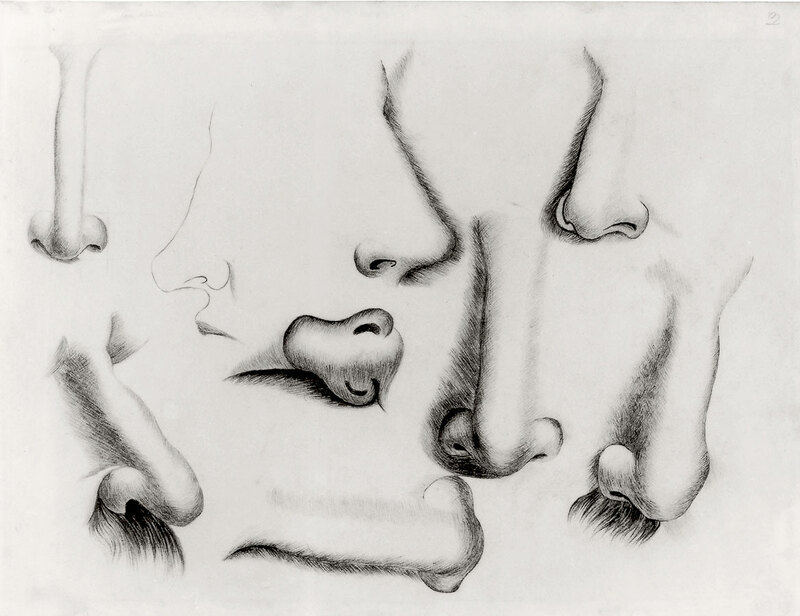 Charlotte Brontë (1816–1855), Study of Noses, pencil drawing, ca. February 1831. Brontë Parsonage Museum. 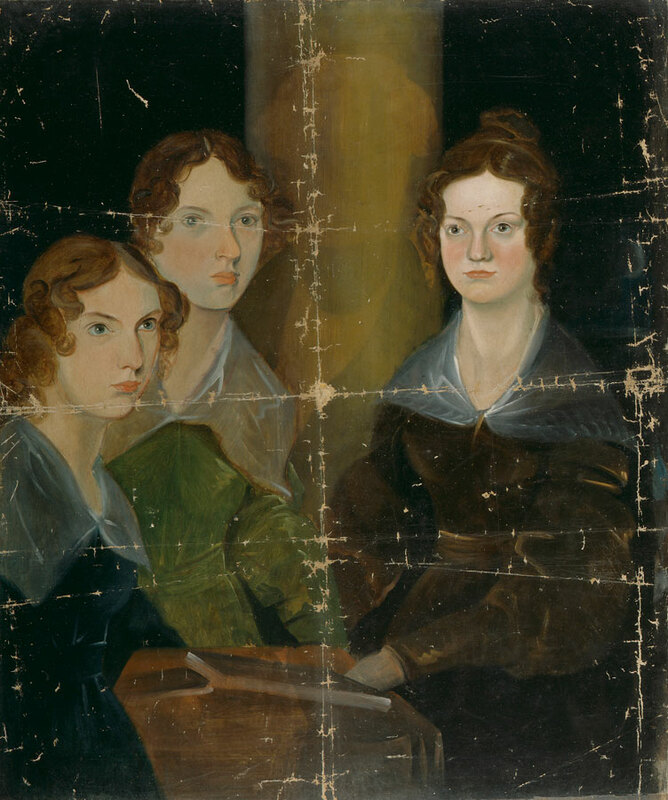 Branwell Brontë (1817–1848), Portrait of Anne, Emily, and Charlotte Brontë, oil on canvas, ca. 1834. © National Portrait Gallery, London. 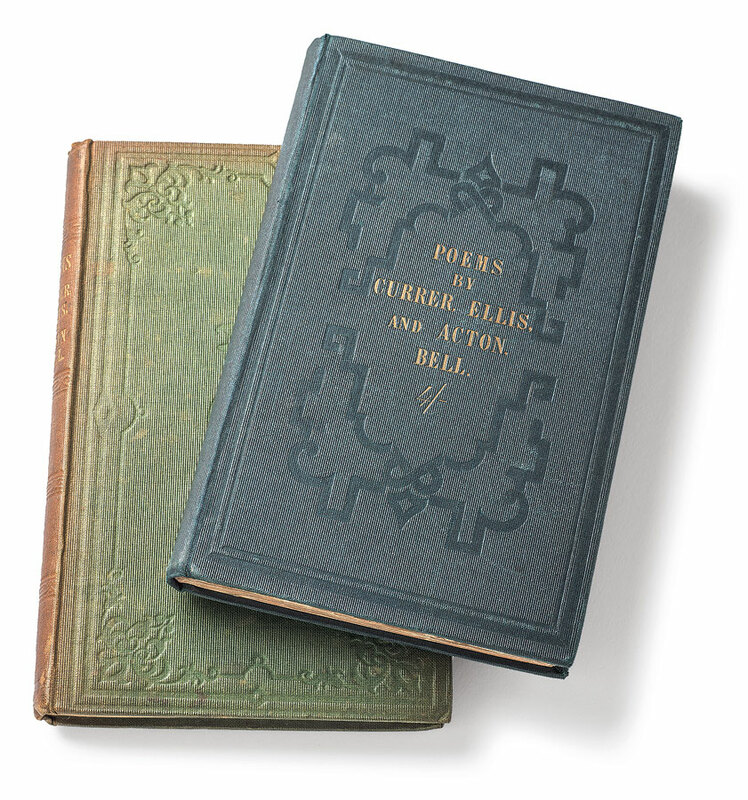 Currer, Ellis, and Acton Bell (pseudonyms of Charlotte, Emily, and Anne Brontë), Two copies of Poems, Dark binding: London: Aylott & Jones, 1846, Light binding: 1848 reissue by Smith, Elder, & Co. The Morgan Library & Museum. Photography by Graham S. Haber. 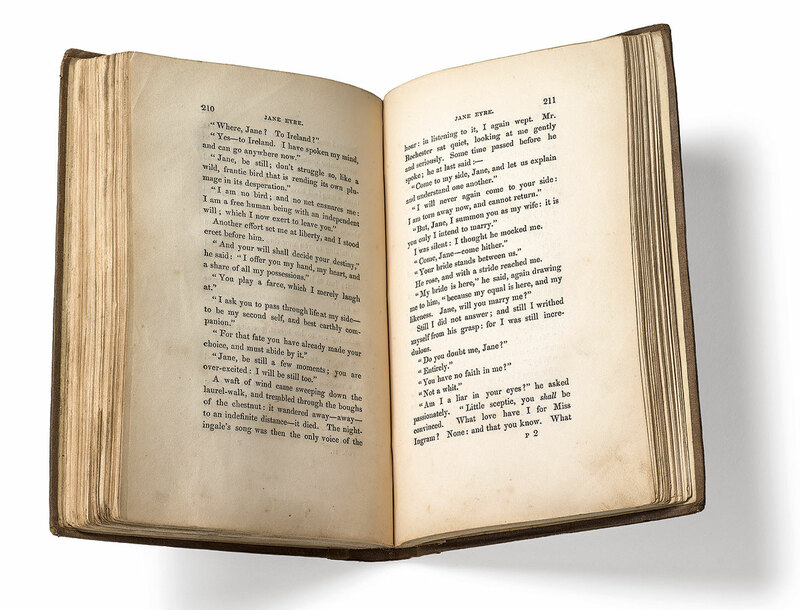 Charlotte Brontë (1816–1855), Jane Eyre, An Autobiography, edited by Currer Bell, New York: Harper & Brothers, 1848 (first American edition). The Morgan Library & Museum. Photography by Graham S. Haber. Charlotte Brontë (1816–1855), Letters to William S. Williams and Ellen Nussey, dated 1848-49, about the death of her brother, Branwell, and the final illness of her sister Anne. The Morgan Library & Museum. 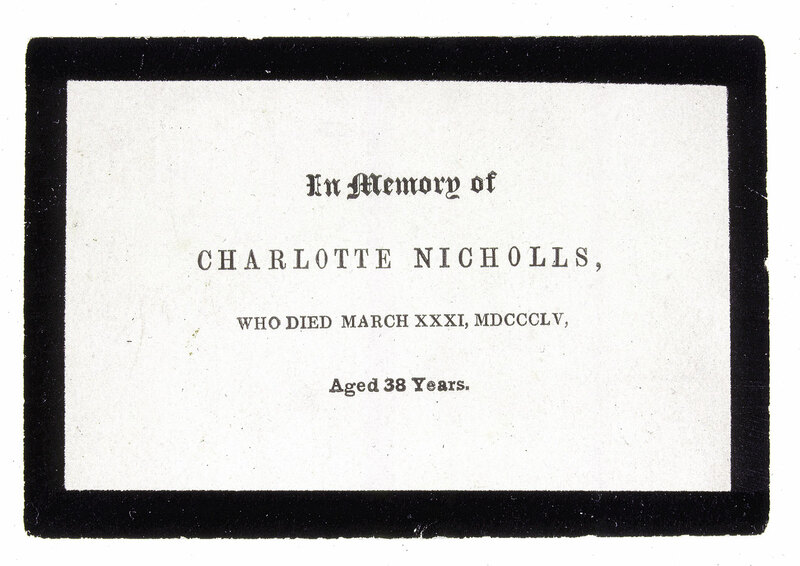 Memorial card for Charlotte Brontë, 1855. Brontë Parsonage Museum.